Brand New! This 2018 RAM 2500 comes equipped with; Crew Cab, 4X4, 6.7L I6 Engine, Tow Package, Cargo Camera, Running Boards, Sunroof, Bed Liner, Navigation, Harvest Edition, CD Stereo, and so much more! . WHEELS: 20" X 8.0" PAINTED ALUM w/CHROME INSERTS, UPFITTER ELECTRONIC MODULE (VSIM), TRANSMISSION: 6-SPEED AUTOMATIC (68RFE) -inc: 3.42 Axle Ratio.Want a custom video? Just text your name and the stock# to 660-247-5319. This vehicle's stock# is 18CE78-1193*Packages That Make Driving the RAM 2500 Big Horn An Experience*SPRAY IN BEDLINER, SINGLE DISC REMOTE CD PLAYER, SECURITY ALARM, REAR WINDOW DEFROSTER, QUICK ORDER PACKAGE 2FZ BIG HORN -inc: Engine: 6.7L I6 Cummins Turbo Diesel, Transmission: 6-Speed Automatic (68RFE), Big Horn Badge, Bright/Bright Billets Grille, Leather Wrapped Steering Wheel, Steering Wheel Mounted Audio Controls, Underhood Lamp, Big Horn Regional Package, POWER SUNROOF, POWER FOLDING CHROME TRAILER Tow MIRRORS -inc: Chrome Exterior Mirrors, Exterior Mirrors w/Heating Element, Trailer Tow Mirrors, Exterior Mirrors Courtesy Lamps, Power Folding Mirrors, Exterior Mirrors w/Supplemental Signals, POWER ADJUSTABLE PEDALS, PARKSENSE REAR PARK ASSIST SYSTEM, MONOTONE PAINT -inc: Headlamp filler panels and door handles are black when special paint ordered (P61, P68, P12, P71, P18, PYB, P06, P72, P64, PGC, PB8, P74, P62, P81, P69, PL1, PGW, P73, P63), LED Bed LIGHTING, HEATED SEATS & WHEEL GROUP -inc: Leather Wrapped Steering Wheel, Heated Steering Wheel, Heated Front Seats, GVWR: 10,000 LBS, ENGINE: 6.7L I6 CUMMINS TURBO DIESEL -inc: GVWR: 10,000 lbs, Cummins Turbo Diesel Badge, Current Generation Engine Controller, Diesel Exhaust Brake, Selective Catalytic Reduction (Urea), Tow Hooks, 180 Amp Alternator, RAM Active Air. *Why Choose Woody's? *No Hassles on over 1,000 Cars, Trucks, SUVs & Minivans. Plus, Smart Warranties on Most!~ With the largest, most diverse inventory in Middle America, you can view all makes in One location! Wow!~ Check out our website to see 50+ more pictures, custom videos walkarounds/virtual testdrives of each vehicle, free history reports and much more!~ Flying in from out of state? We will pick you up at the airport! Call you friendly sales advisor for details. (888)869-0963.~ Our award winning Finance Team works with over 25 lenders to get you the best rate and payment! Our ASE Certified Master Technicians Perform 125 Point Inspections on all certified vehicles on our 10AcreMegaLot!~ Want to save time? Get your financing done before you arrive! Fill out our Secure Online Credit Approval form on our website athttp://www.wowwoodys.com/get-preapproved/ It's that simple!~ Watch & read over 10,000 customer reviews on our website http://www.over10000reviews.com~ Trading a vehicle? Awesome! Fill out our quick online KBB trade value form here... ~ http://www.wowwoodys.com/value-your-trade~ Appointments are strongly encouraged by calling 888-869-0963.~ We look forward to seeing you soon! 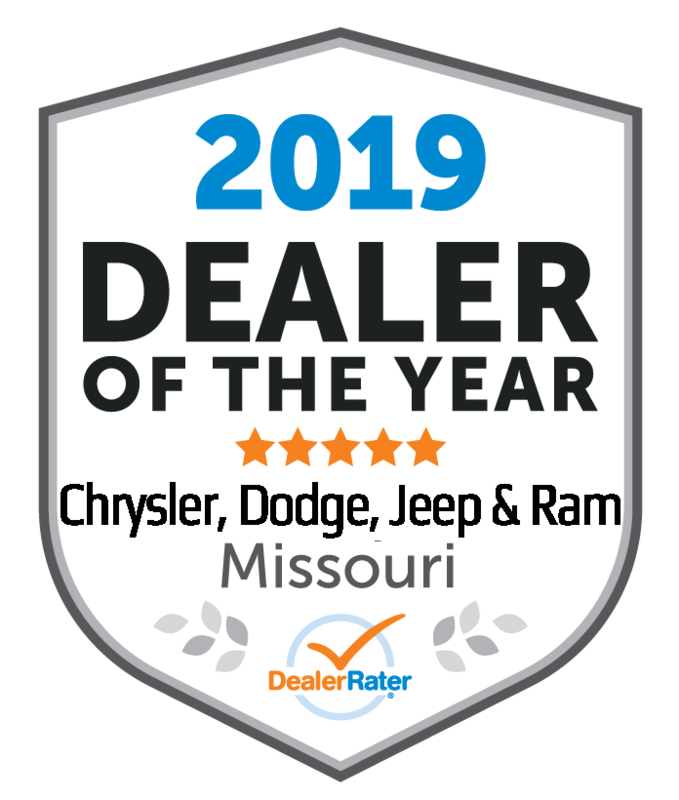 *Visit Us Today *Come in for a quick visit at Woodys Dodge Jeep Chrysler, 310 South Washington St, Chillicothe, MO 64601 to claim your RAM 2500! *Disclaimer:***After all applicable rebates and discounts, see dealer for details. Excludes tax, title, license fees. Discount, when financed through a Woody's lender with approved credit six hundred/and with qualified trade six hundred; see dealer for details. Errors occur with regard to web content. We reserve the right to correct these errors and may not be held accountable for them. We appreciate your understanding and apologize for any errors and ask that you please call to verify mileage, availability and anything else of importance to you before making a trip to our dealership.